Martin Lange, the former Brentford Chairman died on Monday after a long illness. He was only seventy-one, no age at all in the grand scheme of things and he died long before his time. He was also a man who was ahead of his time as he was rightly recognised for his innovative and original ideas and approach throughout his long career in football. He owned the majority shareholding at the club for a sixteen-year period, between 1981 and 1997 and also served as the Third Division representative on the Football League Board. Like our current owner, Matthew Benham, Martin Lange was no outsider as he was Brentford through and through and he was first taken to Griffin Park as a small boy by his father. His hobby soon became an obsession and after he became a successful property developer he was invited onto the club board at the early age of thirty-seven by the club’s then chairman, Dan Tana and soon afterwards he took over the reins for what turned out to be a real rollercoaster ride. His new position was rather a poisoned chalice as he took over a club saddled with debt and his first task was to stump up the ludicrous seventy thousand pound fee decided by the transfer tribunal for Alan Whitehead’s purchase from Bury. A salutary lesson for him about the economies of the madhouse that so often prevailed in football given how poorly the central defender was to perform and the size of the loss we incurred on him when we were finally able to offload him. Lange wasn’t afraid to take tough decisions and one of his first was to replace the loyal and long serving Denis Piggott, who had become part of the furniture at the club but was soon swept out by the new broom. He surrounded himself with exceptional people such as Keith Loring, Christine Mathews and Polly Kates but there was never any doubt who was in charge. Just as the Roman Emperors ensured their popularity by giving their citizens games and circuses, so too did Martin Lange guarantee his place in Brentford folklore by coming up with the idea of signing Stan Bowles, a man who became a Brentford legend and singlehandedly revived the spirits of a supporter base who had had very little to get excited about in recent years. Brentford were a middle of the road third tier club going nowhere, attracting small gates and Lange had to balance ambition with pragmatism and reality as he fought a constant and losing battle to balance the books. Lange inherited Fred Callaghan as manager who was a terrific judge of a player and knew the lower leagues well. He bought players of the calibre of Terry Hurlock, Gary Roberts, Chris Kamara and David Crown and Martin also gained respect by always being approachable and he handled Terry Hurlock brilliantly as a combination of Father Figure and Dutch Uncle who ensured that the sometimes hothead always toed the line but was also persuaded to invest his money wisely in bricks and mortar rather than fritter it away. Lange eventually decided to replace Callaghan – in retrospect a bit too quickly, as he gave in to the entreaties of the fans to make a change and his first appointment was Frank McLintock who proved to be a far better player and captain than he did a manager. John Docherty, a former Bees manager, surprisingly reversed roles and became Frank’s assistant but despite an abortive trip to Wembley and a Freight Rover Trophy Final defeat to Wigan in 1985, the combination did not gel and Steve Perryman was promoted from within. Lange had got it right this time as Perryman proved to be a success both on and off the field and together they slowly improved the playing fortunes and infrastructure of the club. The team ran out of steam in 1989 and missed out on promotion when it looked within their grasp after an incredible run to the sixth round of the FA Cup with famous victories over Manchester City and Blackburn Rovers before bowing out with pride and dignity at Anfield. Lange and Perryman fell out spectacularly apparently over the abortive signing of Gary Elkins and it appeared that the club would go downhill again but Phil Holder seized the opportunity as caretaker, and Lange was brave and astute enough to appoint him and recognise that very little needed changing. Holder was perhaps more chirpy and streetwise than Perryman and the team responded well to his promptings and after an abortive playoff campaign (now where have we heard that before) he led the Bees to the title and promotion in 1992. The sad thing was that I had to go over to America to oversee a big, four hundred acre development – it’s been well documented, but I simply had to be there, but I never actually saw Brentford get promoted! It was sod’s law, as a lad I’d seen Brentford in the old Second Division when my dad brought me down in the early-Fifties, so I knew all too well how important it was to finally escape from the third tier again, so to miss the Peterborough match was devastating. Then to add to my frustration, the only two matches I was able to see in the 1992/93 Division One season were at West Ham and Bristol City! Without his steady hand on the tiller, Brentford imploded. Dean Holdsworth was sold badly to Wimbledon, incredibly without a sell-on clause being included in the deal – total madness and poor business practise which cost the Bees dear when he made a big money move to Bolton Wanderers. Money was squandered on a series of poor signings – Joe Allon and Murray Jones anybody? Relegation was confirmed after a disgraceful last day of the season surrender at Bristol City and the Bees were back from whence they came. Phil Holder – perhaps unfairly, also did not survive relegation and Lange’s return to take day control of the club. But things were never the same again and Lange admitted that the blow of relegation was the beginning of the end as far as I was concerned I think. David Webb was rapturously received as the new manager and he embarked on a cost-cutting exercise, weeding out the older players and building a team in his own image that was tough, gritty and hard to beat but always had some inspiration and goals up front given the likes of Nicky Forster, Bob Taylor and Carl Asaba. Promotion eluded the Bees cruelly in 1995 when they finished second in the one year when only the top team gained automatic promotion – its Brentford innit? And two years later they collapsed spectacularly as they neared the finishing line in a manner that almost begged a Stewards’ Enquiry. Exhausted and frustrated after the best part of twenty years in charge without being able to lead the club to the promised land, Lange decided to sell up and a consortium fronted by Webb and including Tony Swaisland and John Herting, bought fifty-one percent of his shares for the same price that he had paid for them so many years earlier. The truth is that the back of the stand was condemned and the cost of repairing it was phenomenal. The combination of the dilapidated conditions and the club debt, plus me being a property developer, meant that redevelopment just had to be considered to clear the debts. And once the bank was off the club’s back, running the club certainly became a lot easier. I understand passions still run high over the demolition of the Royal Oak, and in hindsight it has restricted Brentford’s scope to develop Griffin Park, but it was the right decision at the time, especially as I was constantly looking for a site to build Brentford a state-of-the-art new stadium at Western International. Even if we’d decided to pull the Royal Oak down, rebuild it just as big, but with executive boxes etc, the council wouldn’t have let us. Hindsight is easy but at the time, rightly or wrongly, it seemed the most sensible thing for him to do. After selling the club Martin remained on the board until 2002 before withdrawing from the spotlight but he always remained a good friend of the club and was keen to do whatever he could to ensure its future success and he was highly supportive of Matthew Benham and his plans for Brentford. Martin’s influence within the game spread far beyond the boundaries of Griffin Park and he proposed a number of changes to tackle falling attendances and hooliganism, including introducing the end of season playoffs in 1986 as well as supporting the introduction of individual squad numbers and names on each player’s shirt. Looking back at my time as Chairman, in hindsight maybe I would have done a few things differently, some people, rightly or wrongly, have suggested I could have been more adventurous and spent big trying to get Brentford to the promised land, but as a custodian I think fans can look back and say that, when I was there, there was never a survival threat, there was never any real crisis to deal with, and I was a safe, stable and genuinely caring chairman. That is not a bad epitaph and way to be remembered even if for the time being no Brentford fan can yet look kindly upon the introduction of the dreaded playoffs. Martin Lange though was a thoroughly decent, pleasant and talented man who achieved so much that was good during his time at the club and we should all give thanks to him for everything he did for us, celebrate his life and mourn his premature passing. Brilliant obituary, Greville. The Martin Lange years were also my formative years supporting the Bees and I have many happy memories of watching Brentford with my Dad from the early 80’s through the 90’s. Our cup run in 1989 was both joyous and surreal in equal measure. As you say, RIP Martin. Gone too soon. A brilliant summary of Martin Lange’s years in charge when so much happened to the club. I seem to even remember a photo of him helping to dig snow off the pitch to try to get a game played one winter. A nice tribute. Yes the guy made “mistakes”, but who doesn’t. Trouble is with a football club, where every fan knows best, it is so easy to lose perspective. And I have no doubt without him the Brentford we still support would not be how it is. I.e. still at GP, for now! Nice words for a nice man. It was actually his interview in the BBBot80s that made me realise he should be remembered as a man who tried his best and put a lot of his own time and money into our club rather than the guy who tore down the Royal Oak. Sad to hear of his passing and glad the majority of people are recognising his input into our club. I will always have very fond memories of Martin Lange. After Denis Piggott was made redundant my father wrote to Mr Lange complaining at the poor treatment of a stalwart member of staff. Martin Lange replied inviting us both to a meeting to discuss his reasons and his plans for restructuring the backroom staff. At the meeting Mr Lange told us he was “working hard on a plan to sign a player who would be a true star and would put 3000 on the gate”. Sure enough, a few days later we signed Stan Bowles and the gate the following Saturday went from 3500 to 7000. He was right on all counts! 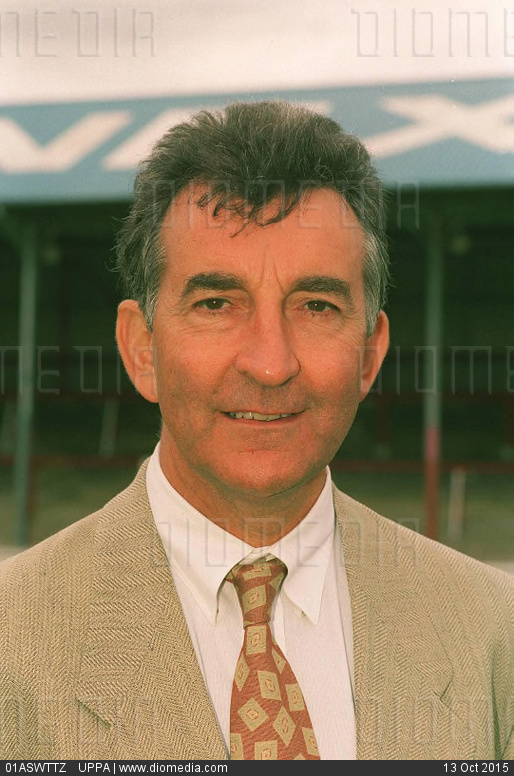 Martin Lange also masterminded the rebuilding of the Braemar Road stand after the fire. There is no doubt his idea of the play-offs have made the end of the season much more exciting for many a club – even if, ironically, they have only ever brought heartache to the club he loved. How lovely to hear from you and hope you and your family are well and thriving. I am glad I captured Martin Lange reasonably accurately and fully recognise how special he was and am just sad that he died so young. It would be very helpful if you draft a paragraph for me setting out the facts from your knowledge and perspective and I will make sure that the article is corrected accordingly. Many thanks for your lovely obituary Greville. My father will be greatly missed by me and the rest of his family, although we are glad that he is no longer in pain from the pancreatic cancer that ultimately took his life. One of the drugs that was used to treat my Dad, Abraxane, is about to be dropped from the Government’s cancer fund despite it being the only dedicated pancreatic cancer drug. There are two petitions to the government about this and I would be grateful if the word could be spread so that every Brentford supporter took a couple of minutes to sign these please. As to the comment above by ‘Ron Noades’ I cannot comment on the exact form the so called golden share took in contractual or legal form but it was always Dad’s intention that Brentford’s key asset Griffin Park be protected from speculators, and any development of the ground only be used to fund a new ground for Brentford. Thank you Matthew for your reply. All Brentford fans will join me in sending our condolences to you and your family. I will also publicise the petition. Thanks for your lovely comment Winny. It’s a story that shows Martin Lange up in a wonderful light as a generous employer and good man. Good to hear from you too and I hope that all is well. You too are sorely missed. So sad to hear this news about Martin. He was a great Chairman and a great man. My thoughts and condolences to his family and friends. RIP Martin. Thank you for your heartfelt words, Bob.